Pyongyang, Jan 16: North Korea reiterated on Saturday that its hydrogen bomb test was a “self-defence measure” and the US should recognize it as a nuclear weapons state. 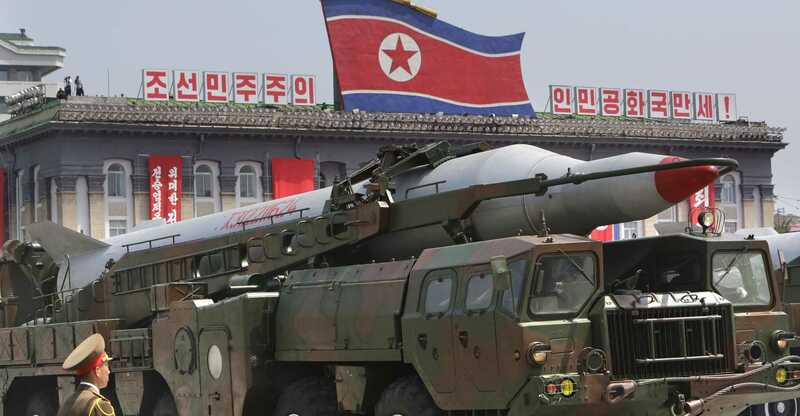 In a statement issued by Pyongyang foreign ministry and carried by its official newspaper Rodong Sinmun, North Korea emphasized again that its H-bomb test was aimed at defending the country’s sovereignty and right to live, rather than exacerbate tensions on the Korean Peninsula, Xinhua reported. The statement said that North Korea’s primary tasks for this year are economic development and the improvement of people’s livelihood, both of which require a climate of peace today “more than any time.” The statement echoed the words of top leader Kim Jong Un in his 2016 New Year address. Pyongyang is “channelling all its efforts into the building of an economic power and feels no need to provoke anyone,” it added. “Now the US should be accustomed to the status of the DPRK (North Korea) as a nuclear weapons state whether it likes or not,” the statement said.